The Worlds best speedsuit. Created in collaboration with the National Slovakia road cycling team, this super aerodynamic body is an exact replica of the one worn by Peter Sagan at the UCI World Championships in Doha. 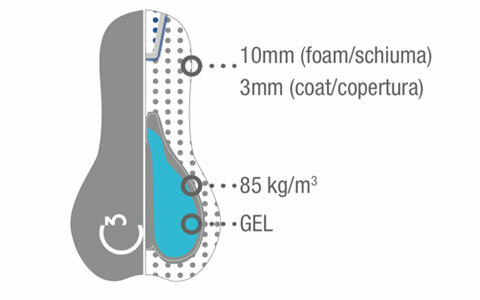 The shorts have been structured around the C3 chamois  our most innovative chamois ever. The Worlds best speedsuit. Created in collaboration with the National Slovakia road cycling team, this super aerodynamic body is an exact replica of the one worn by Peter Sagan at the UCI World Championships in Doha. 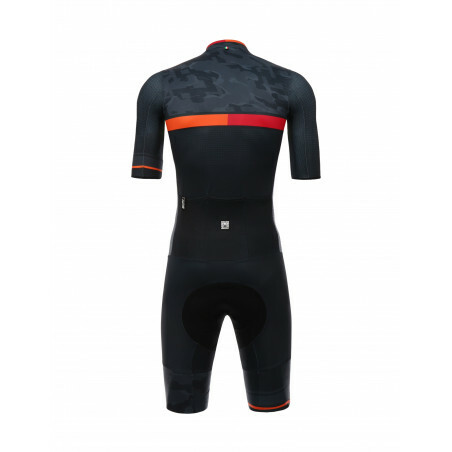 Designed and developed using the most advanced technical materials available, the River road speedsuit is highly breathable and aerodynamic for perfect performance during the race. 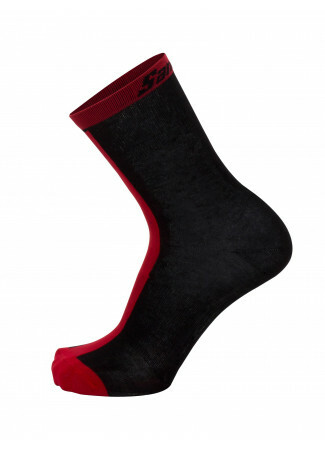 The front is made entirely with the innovative Spider 700 mesh fabric, incredibly lightweight and breathable. It is closed by a zipper with a double opening. The back, in Lycra Monica, ensures maximum adherence to your body. The shorts have been structured around the C3 chamois  our most innovative chamois ever. It is made using a revolutionary new technique that requires no seams or glue. The front panel features a soft shell that will give you maximum shock protection and unprecedented breathability. While the Vergelle fabric inserts around the chamois ensure incredible comfort and prevent unpleasant irritation due to rubbing. 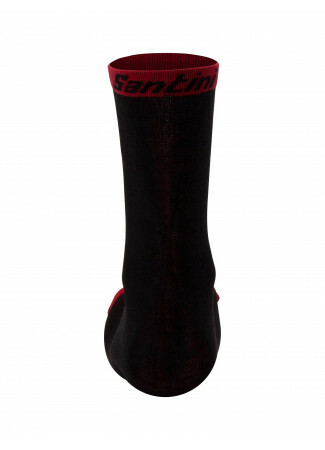 At the bottom of the leg, the band with inner anti-slip grip ensures a tight fit to the body, keeping the garment in position at all times. Finally, it comes with triple back pockets designed for minimum air resistance  making this speedsuit a great alternative to the standard two-piece for aero advantages in road races. 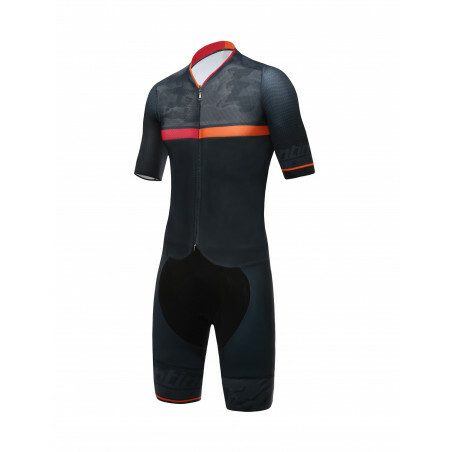 BACK TO BACK WORLD TITLE SPEEDSUIT Based on the speedsuit worn by Peter Sagan and the Slovakia National team athletes at the 2015 and 2016 UCI Road World Championships. LIGHT AND BREATHABLE Made from a combination of super lightweight fabrics and breathable stretch mesh. 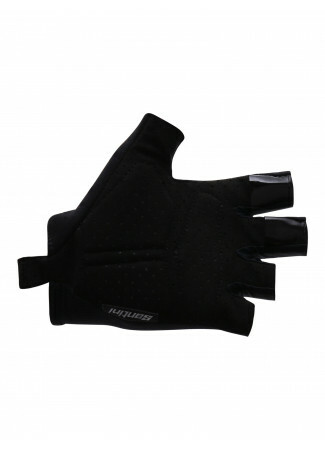 PERFECT AERODYNAMICS Ergonomic cut with leg elastic bands internally coated with non-slip grip for perfect fit. Une innovation sans précédent, C3 est fabriqué en utilisant un nouveau procédé appelé Carving Technology. Il consiste à creuser deux noyaux de mousse se chevauchants (Une densité de 60 pour la mousse perforée de 5mm et une densité de 80 pour la mousse perforée de 10mm) dans le but de réduire le volume et l'épaisseur de l’assemblage. Cette technique spéciale donne à l’insert une protection maximale contre les chocs, une incroyable légèreté, une respirabilité et un ajustement parfait. De plus, il adhère mieux au corps, garantissant une liberté de mouvement. Le gel placé dans la zone de l'ischion (os constituant la partie postéro-inférieure de l’os coxal) permet la neutralisation des vibrations lorsque l’insert est soumis à une forte pression. Eccellente body veste in maniera superba senza dare fastidio. Il tessuto è elastico e sufficientemente areato anche con temperature elevate. Il fondello è il top di gamma di casa Santini (C3) e francamente è quanto di meglio si possa desiderare. Ne possedevo già uno ma con l'offerta Santini non ho resistito a comperarne un altro. Infine nota di merito per la spedizione, ordine effettuato di sabato ed evaso il giorno stesso. Chiaramente la spedizione èpartita di lunedì ed il giorno successivo è stata consegnata. 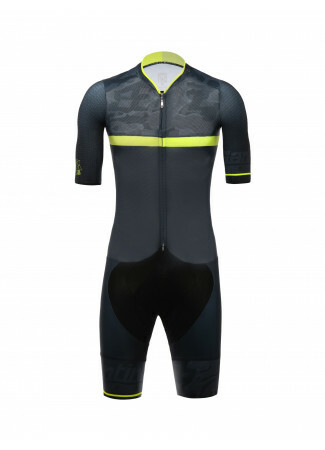 De skinsuit zit fijn heeft een zeer comfortable zeem. Vooral voor de warme dagen. Great! Very good product and very good service! Perfetto! Aderente al punto giusto, buona compressione. Ottimo anche il fondello: CONSIGLIATO!!! I'm 180/65 and size M fits good. I'm very satisfied with the quality of the skinsuit. Great chamois. Suit very perfect. The size M is top. La matière est souple et le tissu bien fini. Il correspond à mes attentes ! Awesomeness all over with great attention to detail... and it fits like a speed suit should! Ordered an S and it was spot on. Ho provato il body river sia su percorsi lunghi che su percorsi di alta montagna e devo dire che è veramente comodo e in discesa si asciuga velocemente. Veramente un ottimo acquisto. 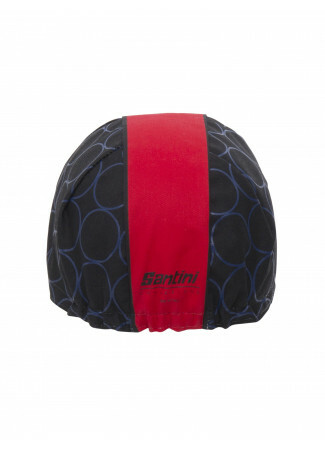 FIVE STAR PRODUCT FROM SANTINI...PERFECT. Excelente calidad. Se ajusta perfecto al cuerpo. Muy cómodo. Voy a comprar otro. I ordered Size L, 187cm and 84kg. fits perfect! Great Pad! Attillato e confortevole e molto trasparente. Il fondello è fantastico considerando il mio peso 94 kg. The finest suit I've ever had. 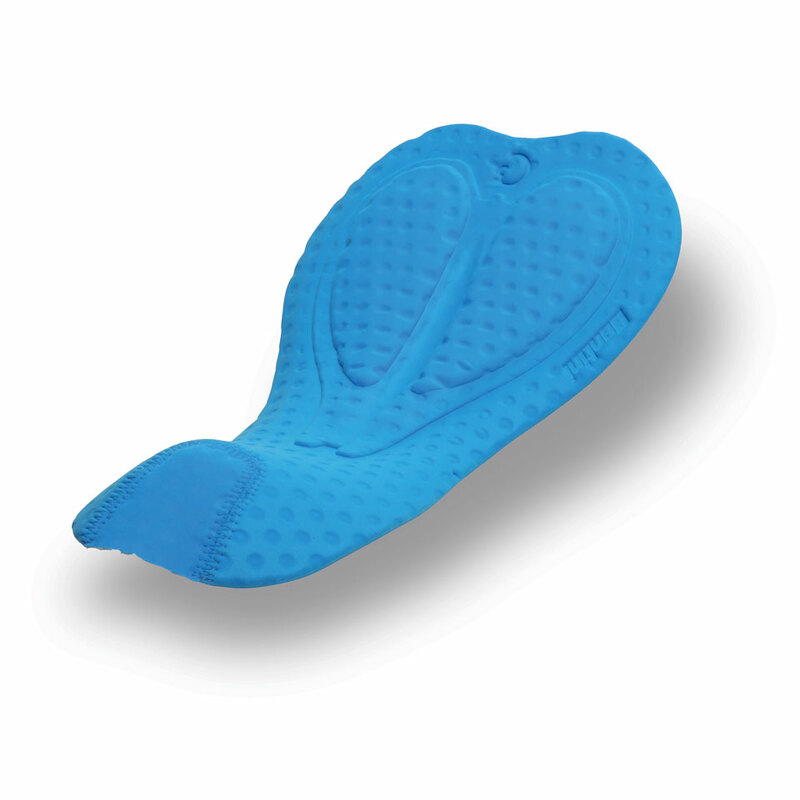 The pad is extremely comfortable and the fibre is really a second skin! 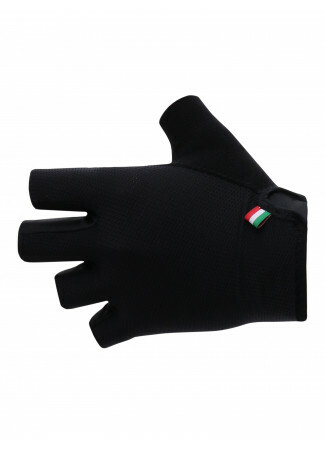 Highly recommended for every cyclist that need aero speedsuit! rapporto pulita' / prezzo da 10 e lode. Looks great and performs even better !! Very good fabrics used, light and fresh, amazing design and racing fit, very good chamois, pockets are big enough, but still tight and aero.. Worth every cent, i'm very satisfied !! Come sempre sono contentissimo di aver scelto Santini. Grazie e buone vacanze. I'm 174cm and 63kg, bought a S size and it fits fantastic. The chamois is really good, I don't have any problem with a 200km ride. The pockets carries all needed for a long ride and holds my big phone and pump not even letting me know I have them on my back. 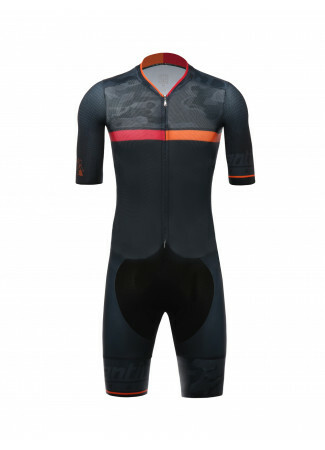 This "River-Road skinsuit" is highly recommended. I've worn team skinsuits before and don't usually ride skinsuits in regular rides but the River is something different. And no, I didn't buy it just because it's the same model Peter Segan gets when he's racing for Team Slovakia at Worlds. It's like a really good bib and jersey combo that is sewn together to make a one-piece kit. The top unzips at the top and the bottom and can be opened like a regular jersey. The bottom and the top are sewn together so when its on, it's tight everywhere like a skinsuit should be. 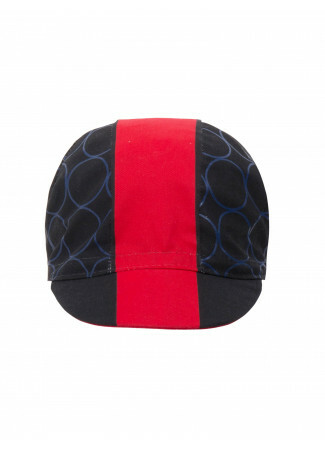 It has pockets, which makes it useful for regular riding. But they lay flat so I could use this in a TT or crit and not feel like I was losing watts. All around, I give it a 10 out of 10.